Date of birth: 16th December 1938, Tokyo. Mini biography: Liv Johanne Ullmann was the daughter of a Norwegian engineer and spent her childhood travelling around the world. 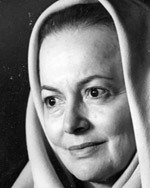 Ullmann became noticed during the 60s when she started to work for Swedish director Ingmar Bergman, with whom she enjoyed a long collaboration. Awards: Nominated Best Actress on two occasions for a Tony: in 1975 for Henrik Ibsen’s A Dolls House and in 1977 for Eugene O’Neill’s Anna Christie. Nominated Best Actress for an Oscar for The Emigrants in 1973 and in Ingmar Bergman’s Face to Face (1976). Filmography includes: Persona (1966), The Passion of Anna (1969), Cold Sweat (1970), The Night Visitor (1971), The Emigrants (1973), The Abdication (1974), Face to Face (1976). 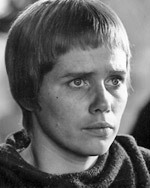 Ullmann has also written and directed: Love (1982), Sofie (1992), Kristin Lavransdatter (1995), Lumière et compagnie (1995), Enskilda Samtal (1996), Trolosa (2000). 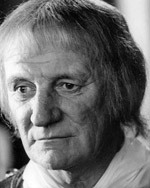 Mini biography: Regarded as one of the most successful German-speaking actors in English language films. 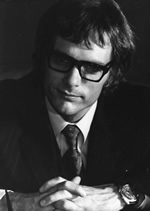 Schell began acting on the stage at the age of 22 and built his reputation in German language film and television work. Awards: Oscar for Best Actor, Golden Globe and the New York Film Critics Circle Award Judgement at Nuremberg (1961), Oscar nomination for Julia (1977). Filmography includes: The Young Lions (1958), Judgement at Nuremberg (1961), Topkapi (1964), The Deadly affair (1966), Counterpoint (1967), Krakatoa: East of Java (1969), The Odessa File (1974), St. Ives (1976) Cross of Iron (1977), Julia (1977), A Bridge too Far (1977), The Black Hole (1979). He is also a respected director of films and documentaries: Marlene (1984), My Sister Maria (2002) and still lured by the stage: Resurrection Blues (2006). Mini biography: Blue-eyed well-built Italian actor Franco Nero, once was a painting photographer, when he was discovered as an actor by director John Huston. 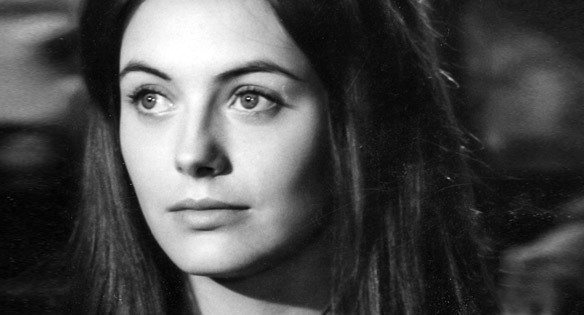 Was romantically involved with Vanessa Redgrave for 40 years. Filmography includes: The Bible: In The Beginning (1966), Camelot (1967), The Virgin and the Gypsy (1970), Force 10 from Navarone (1978), Enter the Ninja (1981), Die Hard 2 (1990). He has also written and produced films such as Jonathan degli orsi (1993). Mini biography: Howard initially grew up in Ceylon. 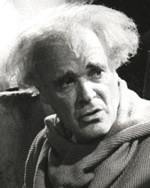 He attended the Royal Academy of Dramatic Art (RADA), acting on the London stage for several years before World War II. Date of birth: July 1, 1916, Tokyo, Japan. Mini biography: After graduating from high school, California, where she fell prey to the acting bug, Olivia enrolled in Mills College in Oakland and was spotted by Max Reinhardt. De Havilland and Errol Flynn were known as one of Hollywood's most exciting on-screen couples. Mini biography: The son of actor Lawrence Anderson, Michael seemed destined to follow into the film industry. Although making a few early appearances as an actor, Anderson soon made the move to director and, with it, the classic WWII film The Dam Busters (1955). Filmography: The Dam Busters (1955), 1984 (1956), Around the World in 80 Days (1956), Yangtse Incident: The Story of H.M.S. Amethyst (1957), The Wreck of the Mary Deare (1959), Shake hands with the Devil (1959), All the Fine Young Cannibals (1960), The Naked Edge (1961), Operation Crossbow (1965), The Quiller Memorandum (1966), Doc Savage: The Man of Bronze (1975), Logan’s Run (1976), Orca: The Killer Whale (1977), Dominique (1978), Summer of the Monkeys (1998), Tenderloin (2008). “The casting of that film became very important and so we went to speak to Liv Ullmann. She called up her good friend Max Von Sydow who assured Ullmann that the director was indeed good to work with! She was certainly an ideal Pope Joan. I’d got friendly with Franco Nero and he said he’d like to play the king of France. Again, Trevor Howard I’d worked with many times, so I tried to surround myself with people I was comfortable with and create a picture that was for me, very, very different. Mini biography: Initially Briley arrived in England with a background in history to obtain a PHD in Elizabethan drama. Briley became involved with one of several academic programs in history and approached by his agent about Kurt Unger who had a story about a female medieval pope, which for Briley proved fascinating. Awards: Oscar and Golden Globe awards and Bafta nomination for Ghandi (1982). “There were a number of stories about Pope Joan and a novel had been written in Greece. I did some research and found that, at a time when the only people who wrote were clerics and there were no typewriters or printing, there was as many books on Pope Joan as on Christ! Some of them were wild, like the devil came down and impregnated a woman, but none of them, in the early medieval period, questioned that there was never a Pope. The Catholic Church defended the fact that this was a myth and not actually true. We took the script to the cardinal secretary who ran the Vatican who said, ‘There are arguments for it and arguments against it, but I believe it was true.’ I felt there was enough evidence to say there might have been a Pope Joan. “We were looking for a 10th century church and found one in the Italian hills. Our Italian crew were reluctant enough, considering the controversial subject matter and ties with the Church. The following day, there was an earthquake that damaged part of the church: when we came down for breakfast the next morning, the Italians had disappeared! So we gave up and ultimately found this beautiful 10th century church in London near Billingsgate fish market. Mini biography: Maurice was drawn to music in his late teens and entered the Paris Conservatoire. He became musical director of the Théâtre National Populaire and composed his first film score. He graduated to full-length features in the late 50s. By the early 60s, he began to attract international attention and embarked on a prolific career scoring an average of five films per year. Recorded at Anvil Studios, Denham, Pope Joan’s score not only included Jarre’s characteristic use of multiple percussion and a traditional symphonic setting, but also ethnic instruments such as the Austrian zither, Hungarian cimbalom and Greek bouzouki. A chamber choir was added to beautiful effect and fittingly evoked the nature of the story. Among the many beautiful high points of the soundtrack, it is hard to top Jarre’s exquisite melodies for Joan. Awards: Oscar for Best Music Lawrence of Arabia (1962), nominated for Best Adapted Score for Les Dimanches de ville d’Avray (1962), Oscar for Doctor Zhivago (1965), Grammy nomination for Ryan’s Daughter (1970), Academy and Golden Globe nomination for The Life and Times of Judge Roy Bean (1972), Oscar nomination for The Message (1976), Oscar for A Passage to India (1984). In 1993 Jarre was awarded with a lifetime Achievement award from ASCAP (The American Society of Composers, Authors and Publishers). Filmography includes: Lawrence of Arabia (1962), The Longest Day (1962), Les Dimanches de ville d’Avray (1962), The Train (1964) and The Collector (1965), Doctor Zhivago (1965), Is Paris Burning? (1966), The Professionals (1966), Gambit (1966), Grand Prix (1966), The Night of the Generals (1967), Villa Rides (1968), Five Card Stud (1968), The Damned (1969), Topaz (1969), El Condor (1970), Ryan’s Daughter (1970), Red Sun (1971), The Life and Times of Judge Roy Bean (1972), The effect of Gamma Rays on man-in-the-moon Marigolds (1972), The Mackintosh Man (1973), The Man Who Would Be King (1975). The Message (1976), The Year of Living Dangerously (1982), A Passage to India (1984), Witness (1985), Fatal Attraction (1987), Jacob’s ladder (1990). 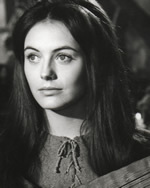 Mini biography: voted Britain's most beautiful teenager at the age of fifteen, Lesley-Anne Down is best known for many television roles, such as in ITV’s Upstairs Downstairs and CBS’ The Bold and the Beautiful Marone. Filmography includes: Countess Dracula (1971), The Pink Panther Strikes Again (1976), A Little Night Music (1977), The Betsy (1978), Sphinx (1981), Night Trap (1993), The Secret Agent Club (1996), The First Great Train Robbery (1979), The King's Guard (2000), Seven Days of Grace (2006). Mini biography: Despite being more recognised for his film work, Dullea prefers the stage. 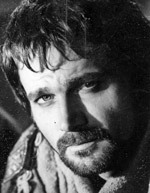 In 1983, he and his wife founded the Theatre Artists Workshop of Westport. Filmography includes:Hoodlum Priest (1961), David and Lisa (1962), The Thin Red Line (1964), De Sade (1969), 2001: A Space Odyssey (1968), 2010 (1984), The Good Shepherd, (2006). 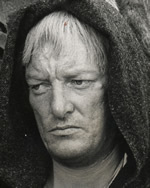 Mini biography: A distinguished stage actor, Patrick was a favourite of Samuel Becket. 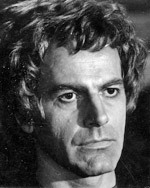 He also appeared in many horror films. Filmography includes:The Criminal (1960), The Servant (1963), Zulu (1964), The Masque of Red Death (1964), Marat/Sade (1967), A Clockwork Orange (1971), Barry Lyndon (1975), Young Winston (1972), Tales from the Crypt (1972), Asylum (1972), Chariots of Fire (1981). Mini biography: Jeremy has a strong TV profile and is particularly known for his role as PC Bob Steele in BBC’s Z Cars as well as roles in Colditz, Space:1999, Conan and various American series.